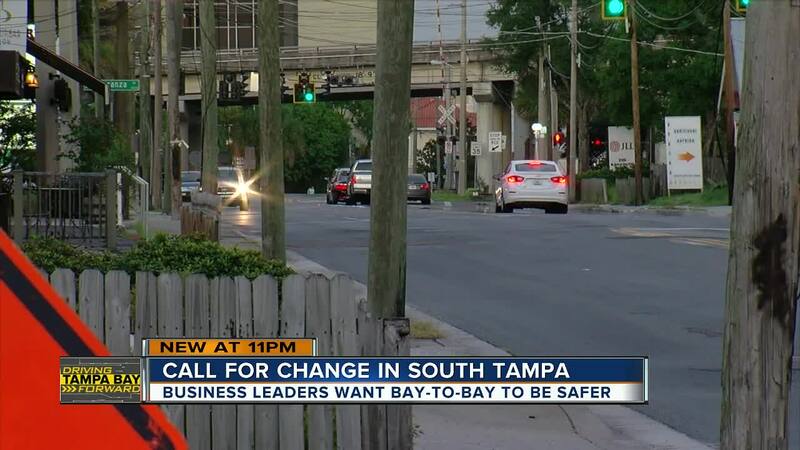 TAMPA, Fla. — A group of South Tampa businesses have signed a letter to Mayor Bob Buckhorn, demanding that changes are made to make the popular shopping and dining corridor safer. "I don't even cross the street because I'm too afraid," said Courtney Schalk. Schalk operates The Dessert Spot, a family-owned business located on Bay to Bay Boulevard. She worries local shops are taking a financial hit because the street is not pedestrian-friendly. "We want people to come here after school or after dinner and be able to walk over here because this community is such a tight-knit community, and they're afraid to," said Schalk. In April, the Mayor's office announced it would not move forward with the Bay to Bay Boulevard Complete Street project. The original plans included cutting four lanes of traffic down to three, while designating the middle lane for turning in both directions. It also called for bike lanes, narrower roads, and traffic-calming measures. "Studies continue to show that complete street designs spur private investment, raise property values, increase foot and bicycle traffic, and provide important safety features for all modes of transportation," the letter states. 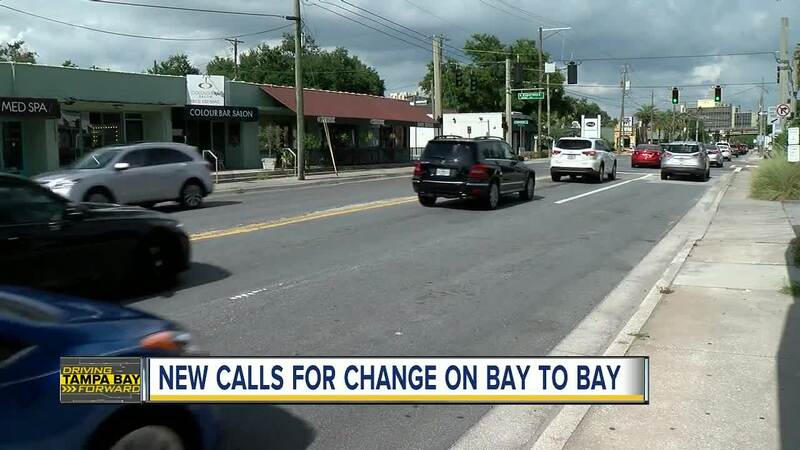 "By the City of Tampa’s own estimates, a three-lane section on Bay to Bay could provide nearly a 50% decrease in crashes while simultaneously increasing vehicular lane capacity." Dominique Conn-Giolito, owner of Traveling Corks, says it's time for the City of Tampa to reconsider its stance on the Complete Street project. "We're small business, this is a small community and we want to make it better, not just for us, but for everybody else, as well." said Conn-Giolito. The letter has been signed by 18 different South Tampa businesses.